Ahead of this week’s UEFA Champions League fixtures, adidas has revealed the latest episode of Gamedayplus, featuring a behind-the-scenes look at current Champions League holders Real Madrid. In the episode, Gareth Bale shows us how to perfect the knuckleball technique; we take a tour of La Residencia with Alvaro Arbeloa; talk to Nacho about the Real Madrid youth system; and hang out with Marcelo at his favourite tattoo parlour. 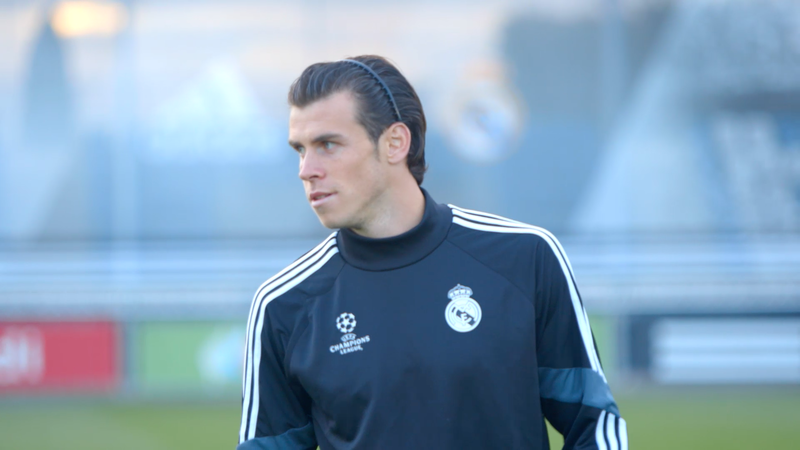 The first piece sees Gareth Bale walk us through the perfect knuckleball using the adidas miCoach Smart Ball. The Smart Ball has sensors that measures the speed and flight of your strike, a feature that allows players to improve their technique with practice. In addition adidas is giving fans the chance to win the miCoach Smart Ball that Gareth used in the tutorial. Alvaro Arbeloa then takes us on an exclusive tour of Real Madrid’s player residence. Giving us rare access to the areas of the club where Los Blancos relax, we visit their cinema, games room, swimming pool and more. We also catch up with Nacho, who tells us what it’s like growing up at Real Madrid. After joining the club at just ten years of age he is the perfect person to give advice to any young player looking to make the very most of their talent. Away from the club we hang out with Marcelo at his favourite tattoo parlour, where he reveals his passion for music, his love of tattoos and the reason he always plays with a smile on his face. What do you think of the latest adidas Gameday Plus video? Let us know in the comments section below or on our Twitter and Facebook pages.